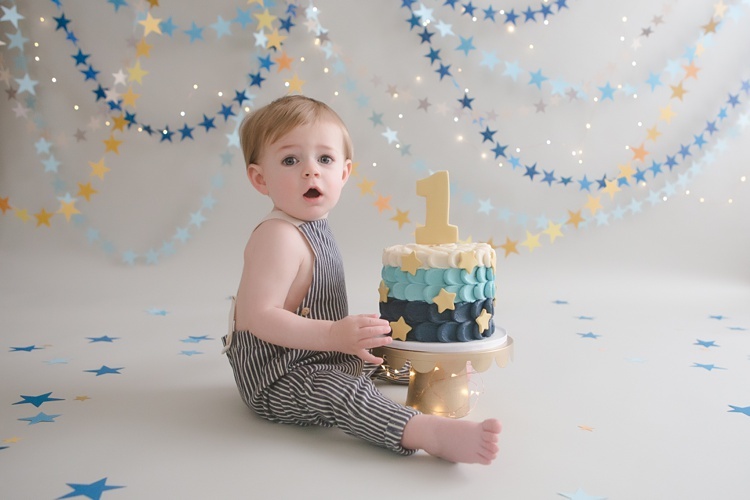 Your baby is turning one! 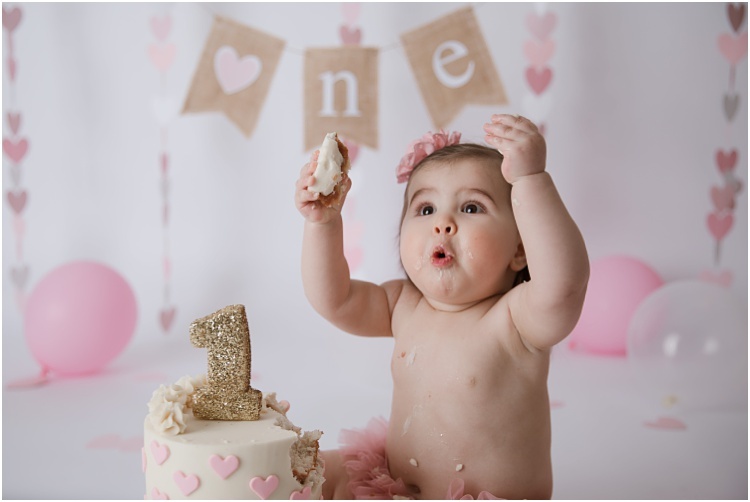 Let's celebrate with cake!! 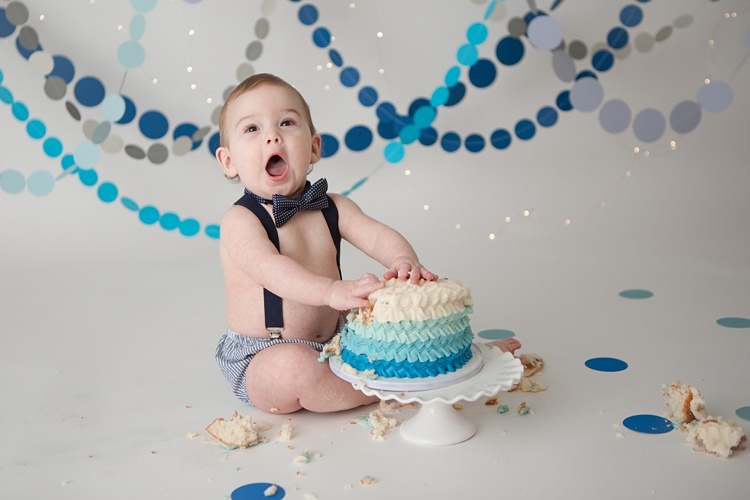 First birthdays are so much fun! 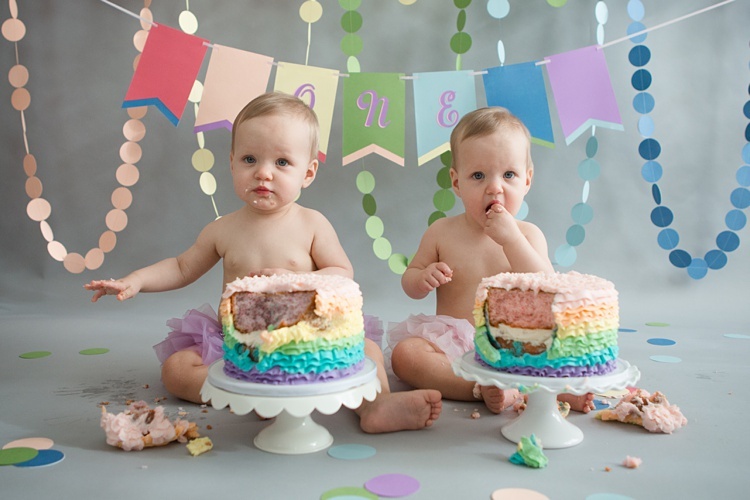 They are a reason for celebration. 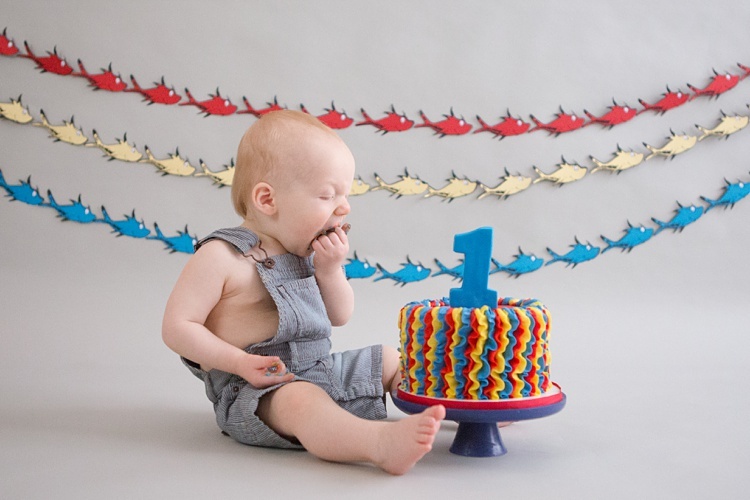 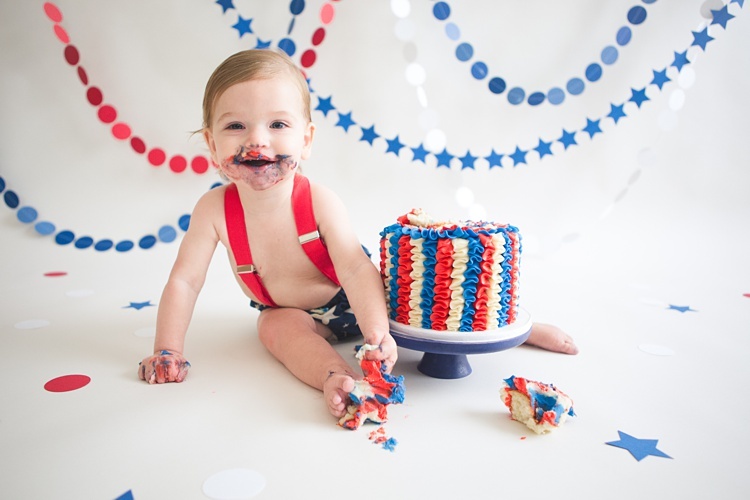 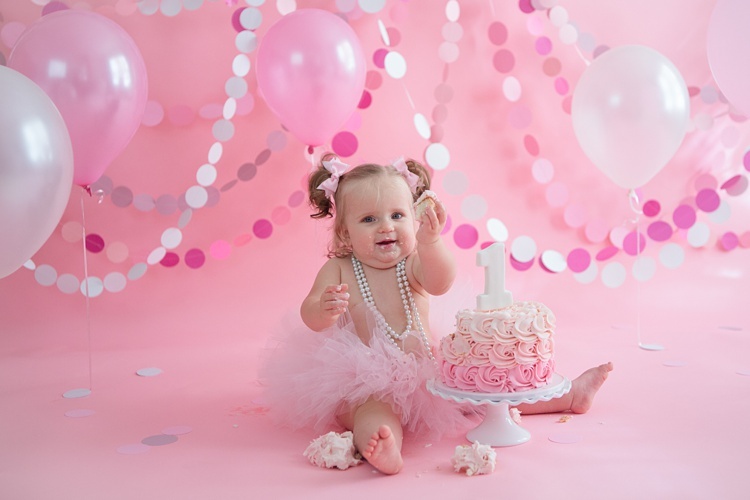 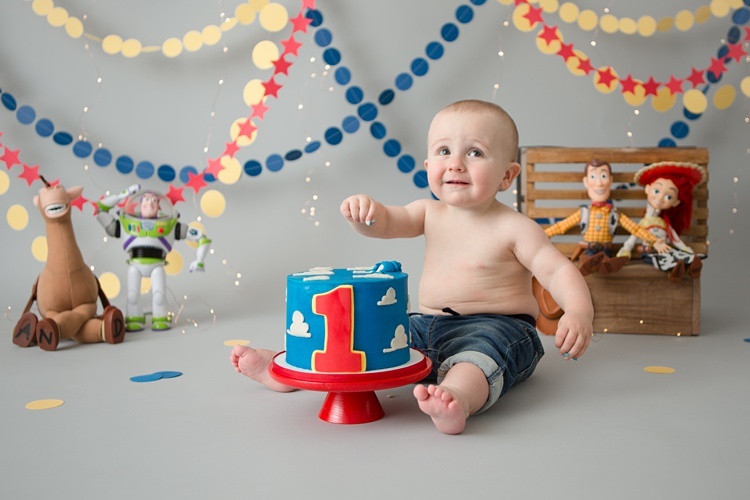 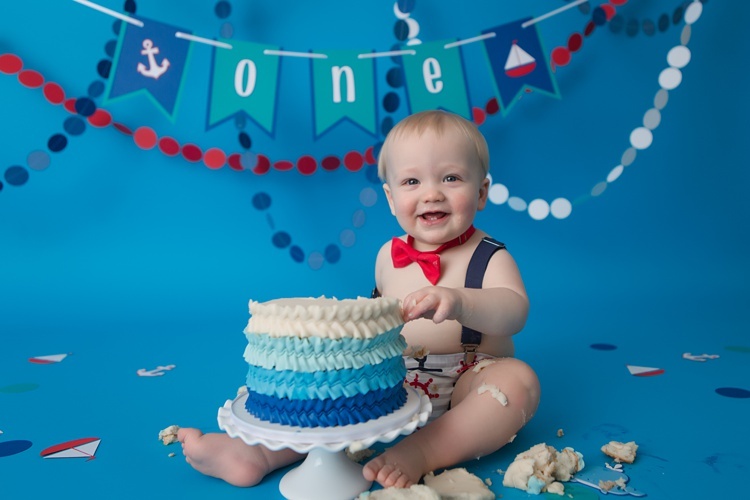 There is no better way to capture your child's first birthday then with a cake smash session! 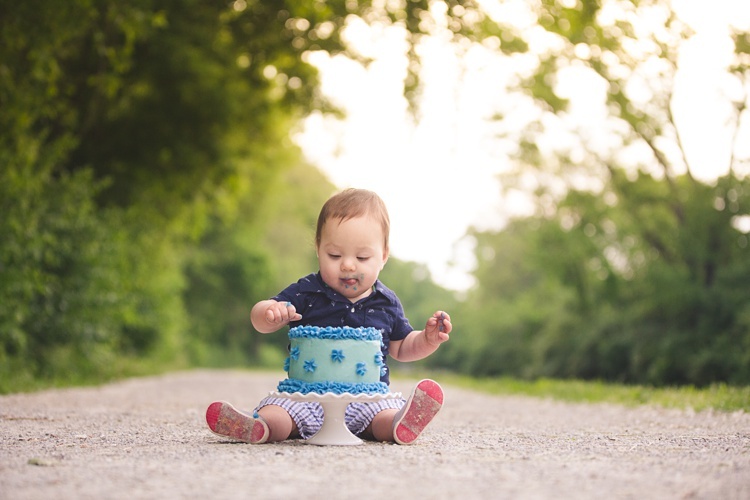 Cake smash sessions are done in the studio which is located in Carmel, Indiana on the West side of town (easy access off of 465). 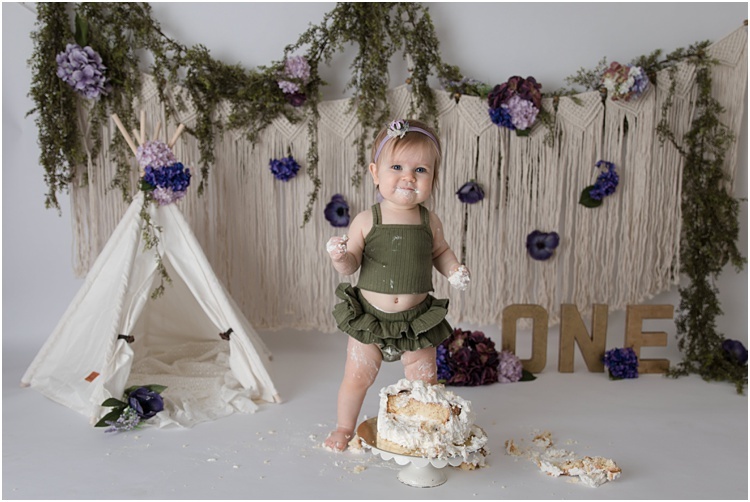 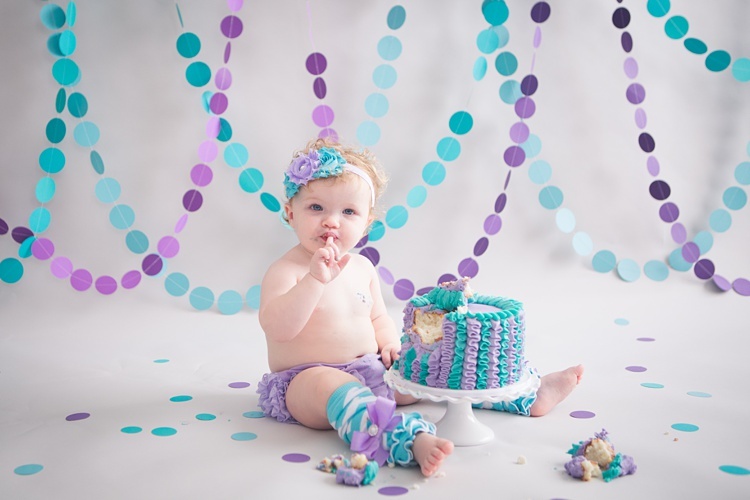 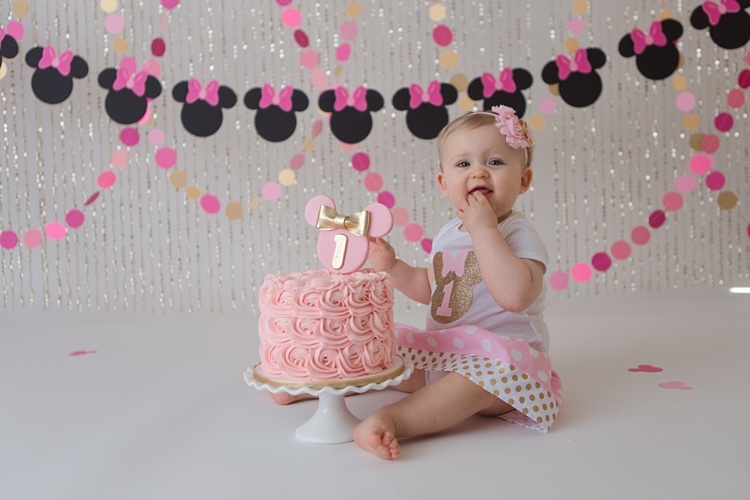 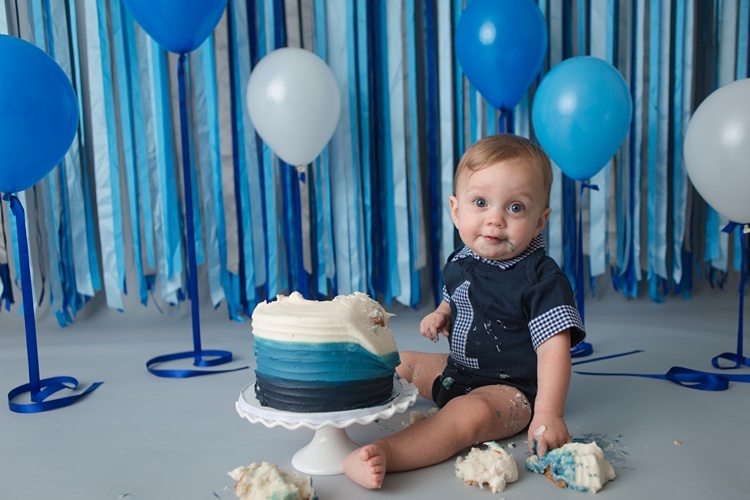 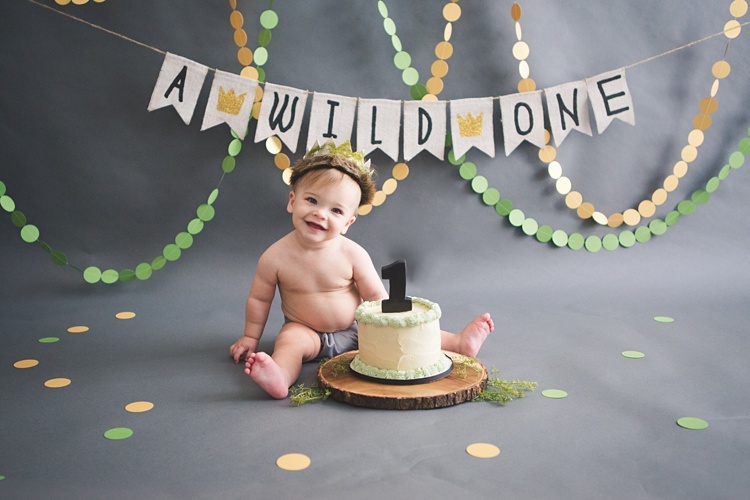 For a cake smash session you take a one-year-old, give them a small cake, place them on a custom-designed backdrop, and you just let them have some fun! 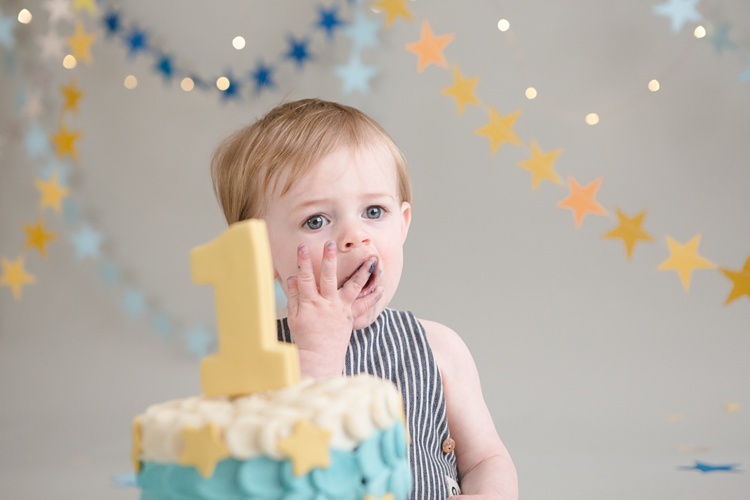 It is that simple. 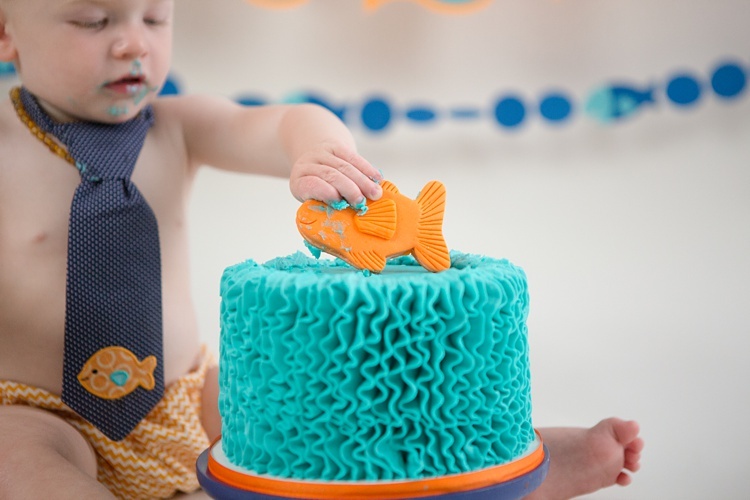 It is a guaranteed good time for the child and also for the parents watching! 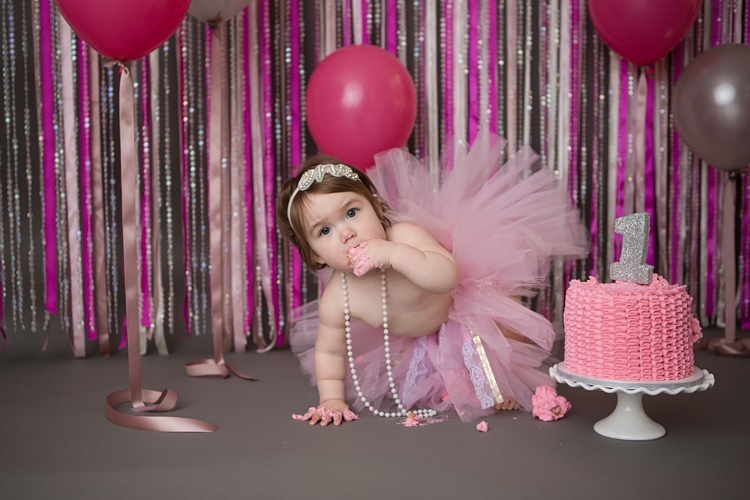 Afterwards, you will walk away with some amazing pictures that you will cherish for a lifetime. 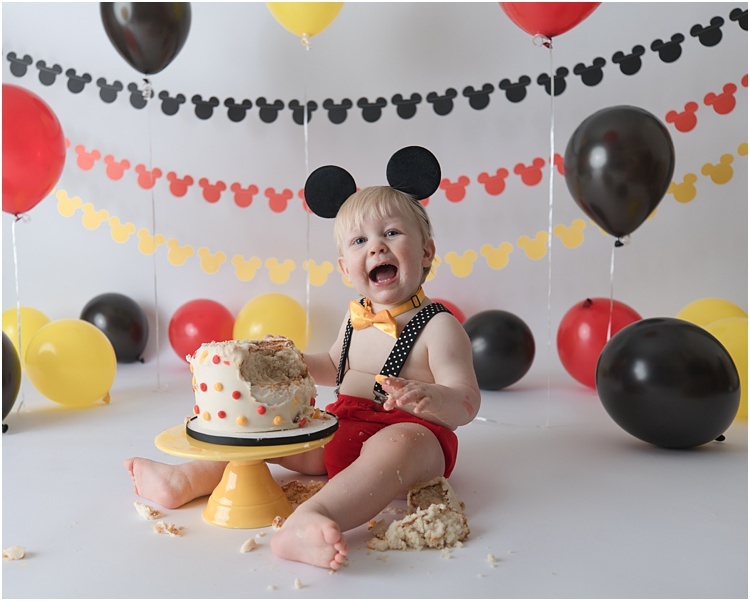 Cake smash sessions are a blast for everyone and they make for priceless images and memories. 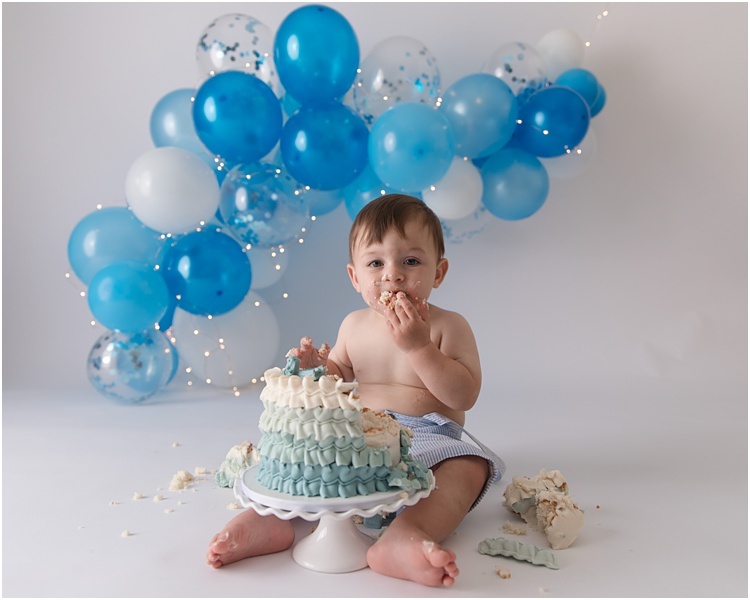 Each cake smash session comes with a custom designed backdrop and cake based on your child's outfit or birthday theme. 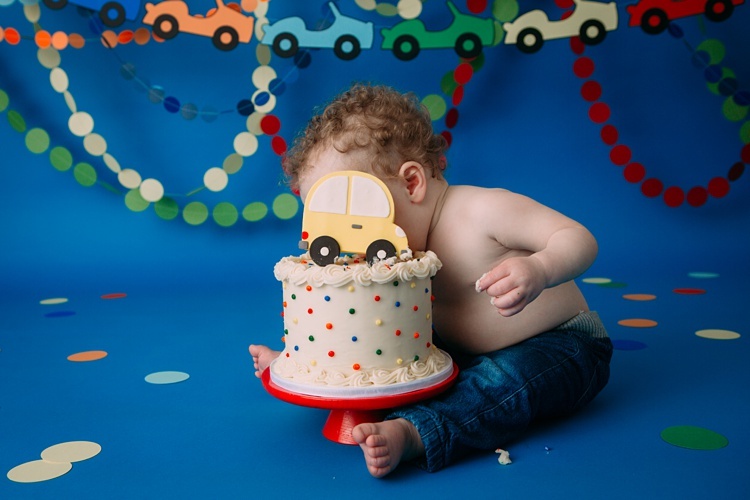 You are also welcome to do some non-cake smashing pictures before your child starts with the cake smashing. 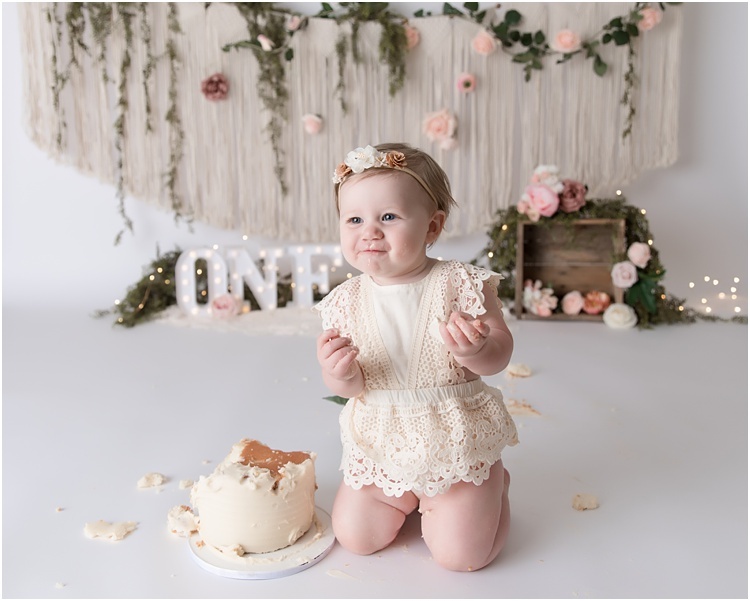 It's recommend that you bring one other outfit so that you can get some traditional first birthday pictures as well. 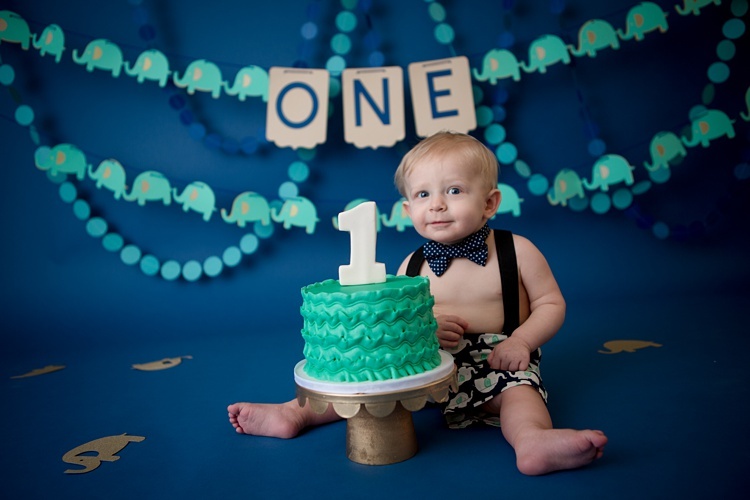 You are also welcome to do a third family set-up too at no additional charge. 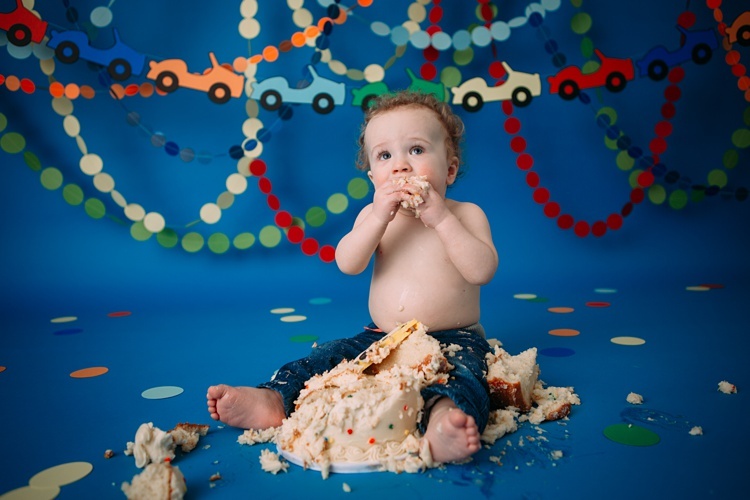 While there will be traditional pictures and family pictures during this session, the focus of the session will be on the cake smashing. 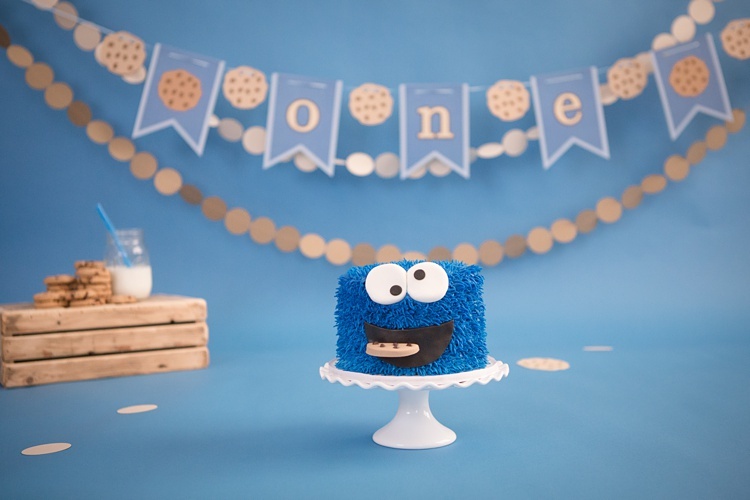 I like to make things easy for you, as the client. 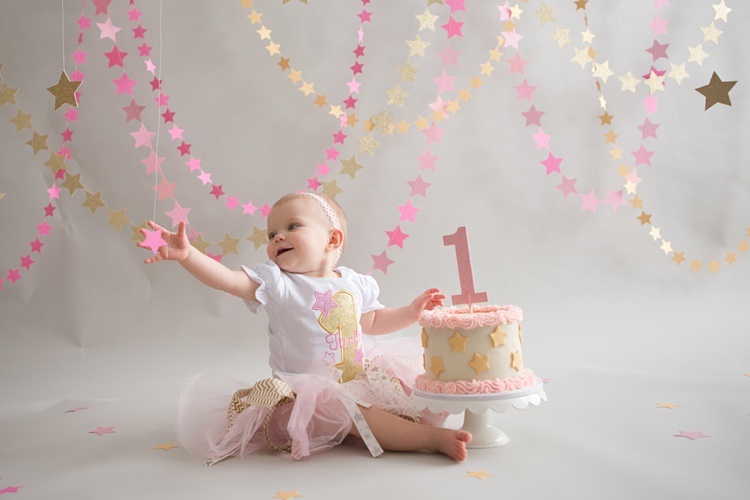 For the session I ask that you provide the outfit for your birthday baby and I'll provide everything else! 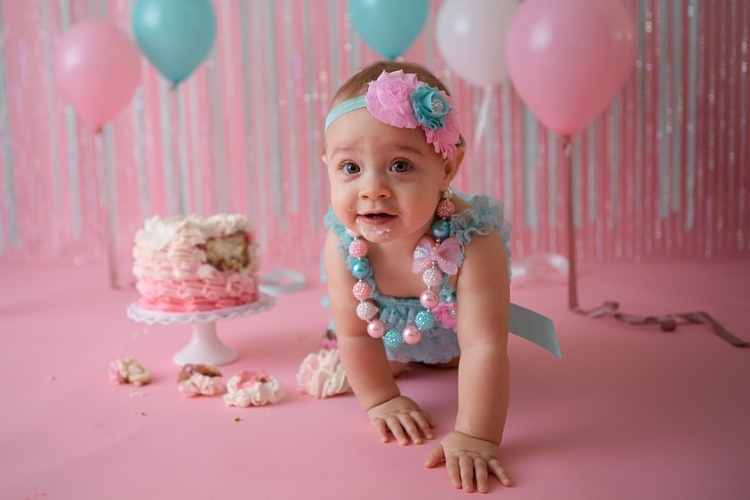 At least three weeks before your session date I ask that you send me a picture of what your little one will be wearing for the cake smash portion of the session. 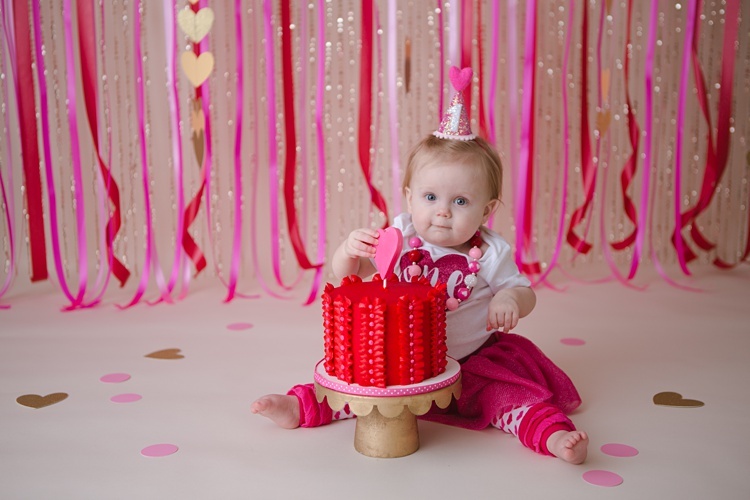 I'll use that info to create a custom designed backdrop and to order an adorable matching cake. 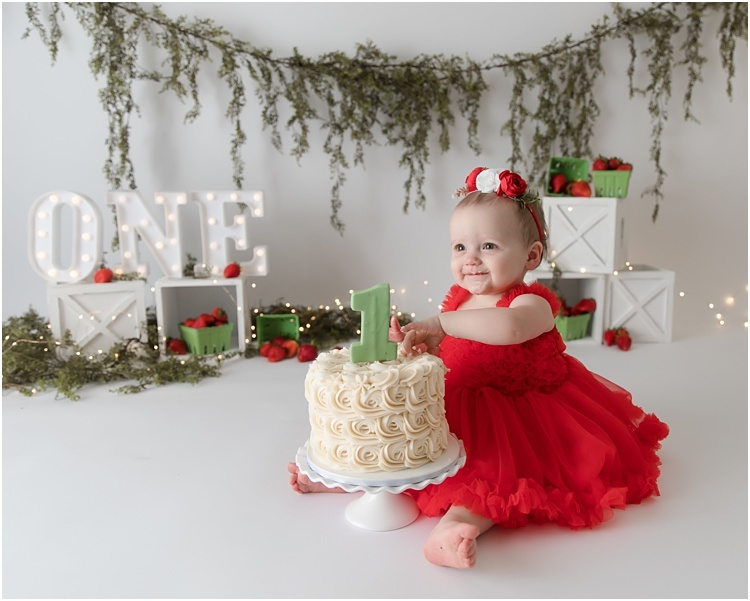 Within two weeks of your session I'll send you your final gallery with professionally edited images. 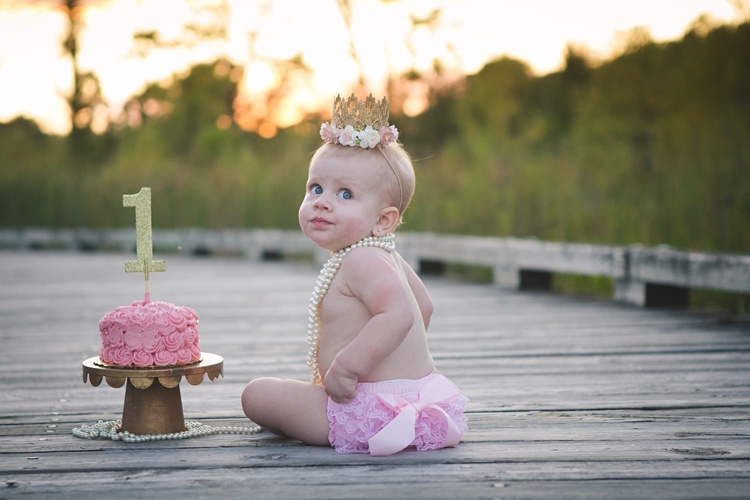 You should expect at least 40 images but there is often many more then that. 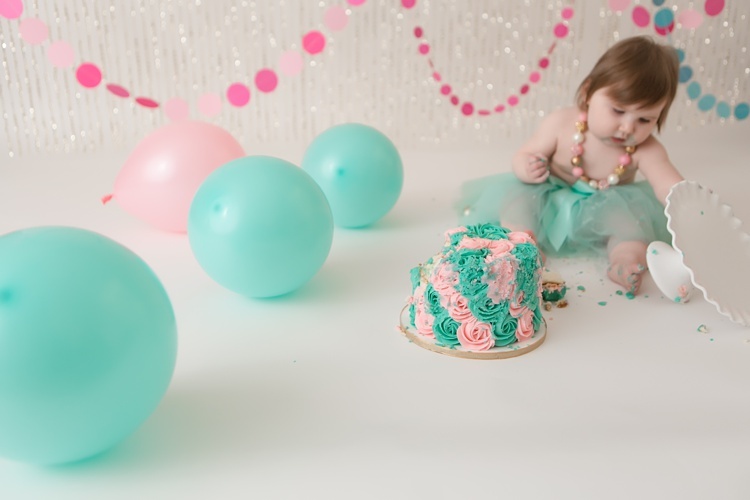 You will have non-commercial (this means you can't sell your images or use them to promote another business) reproduction rights. 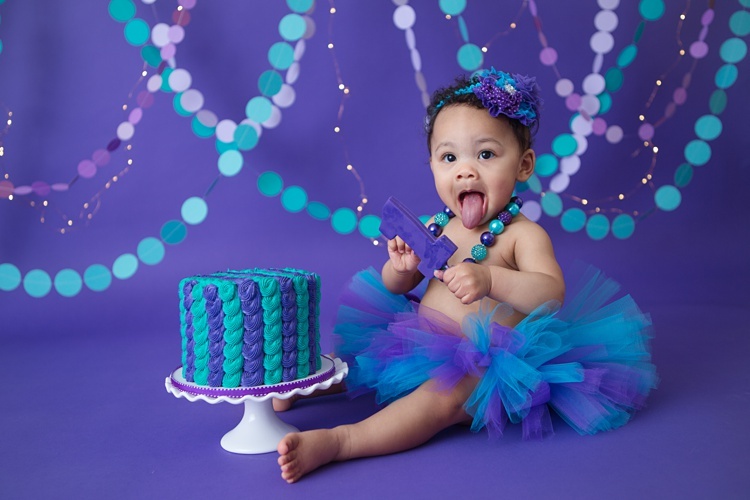 So you can use the images however you see fit. 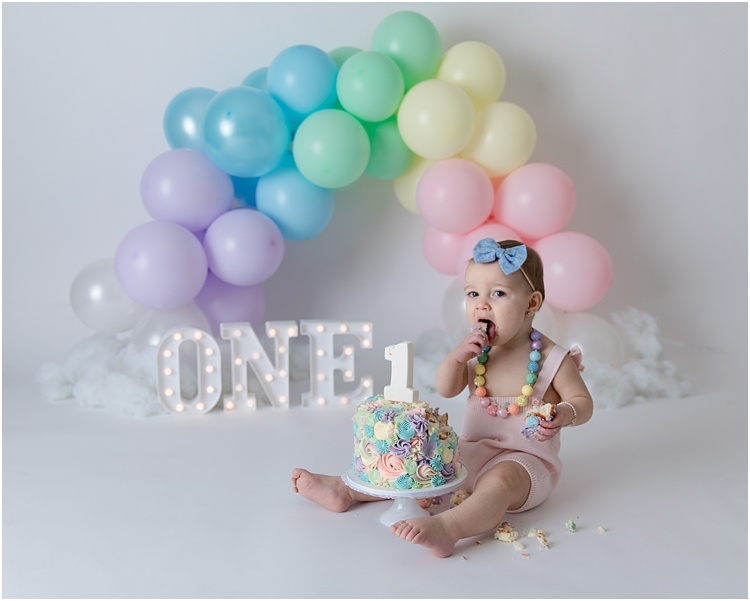 These images are frequently used by clients on birthday invitations, thank you cards, or printed in a professional album. 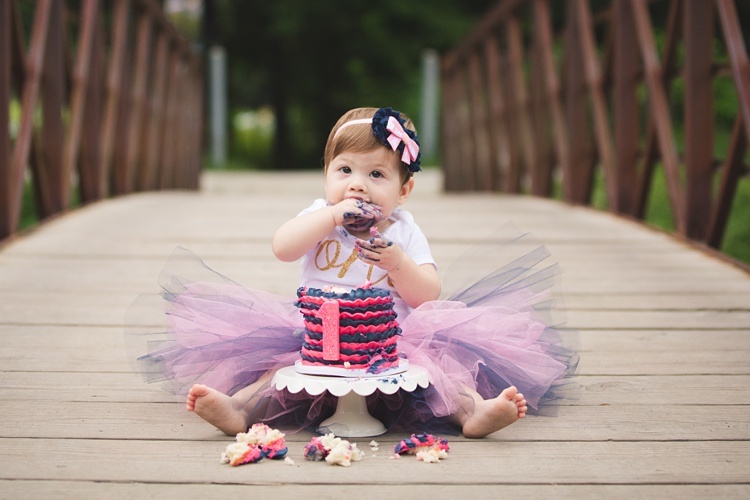 If you would like to know more be sure to contact Kristeen. 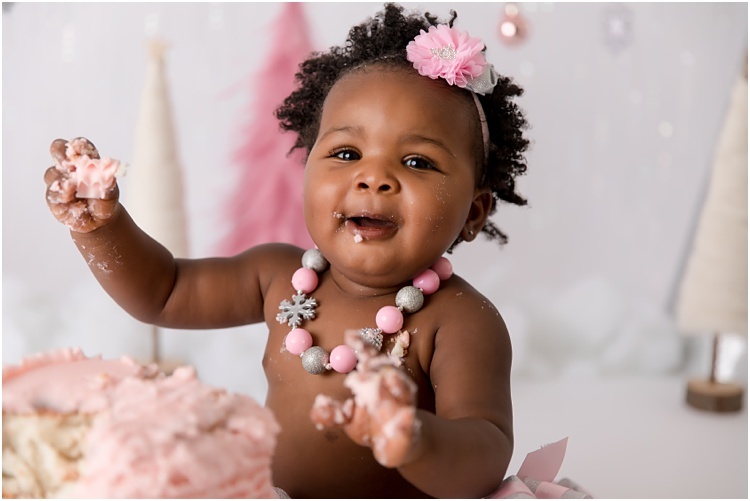 She will provide you with her cake smash guide. 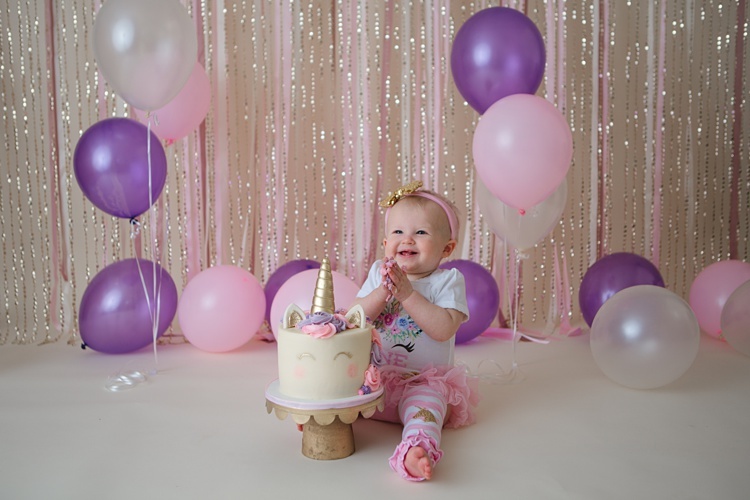 She will give you more information on packages, pricing, and availability. 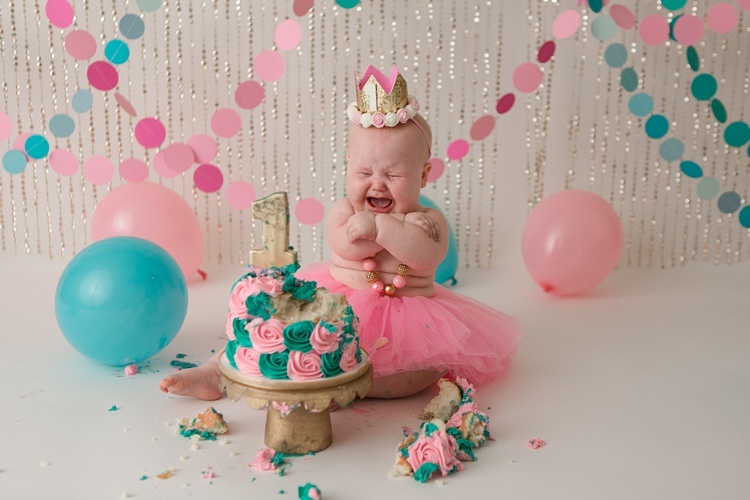 She will also send her free cake smash guide. 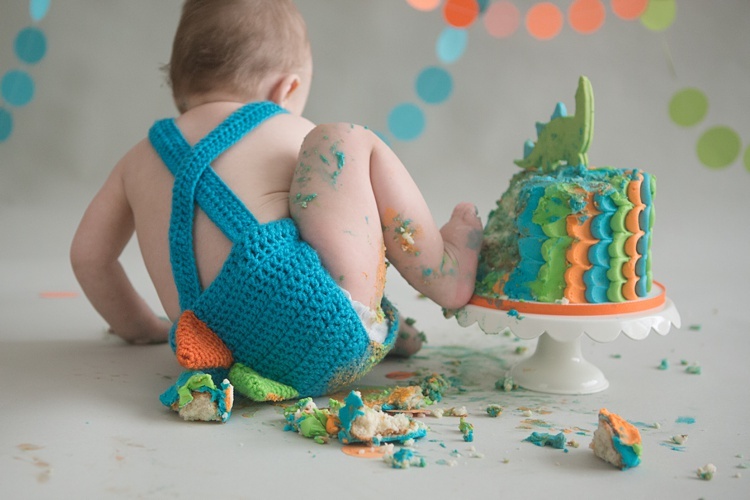 What is a Cake Smash Session? 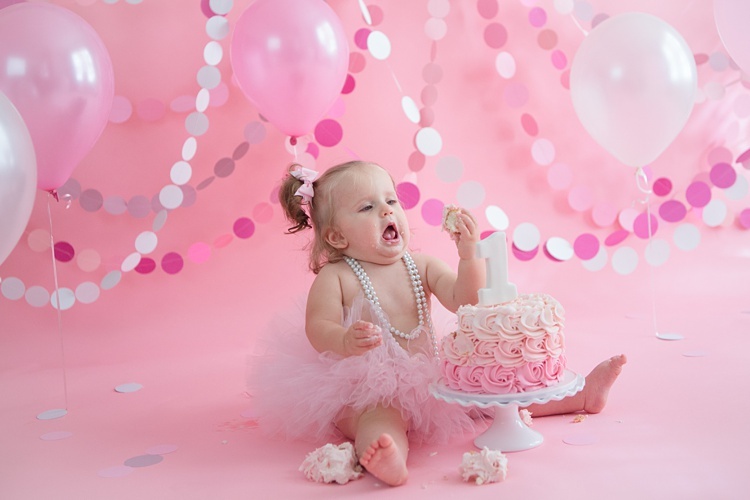 Be Social: Facebook, Instagram and Pinterest!